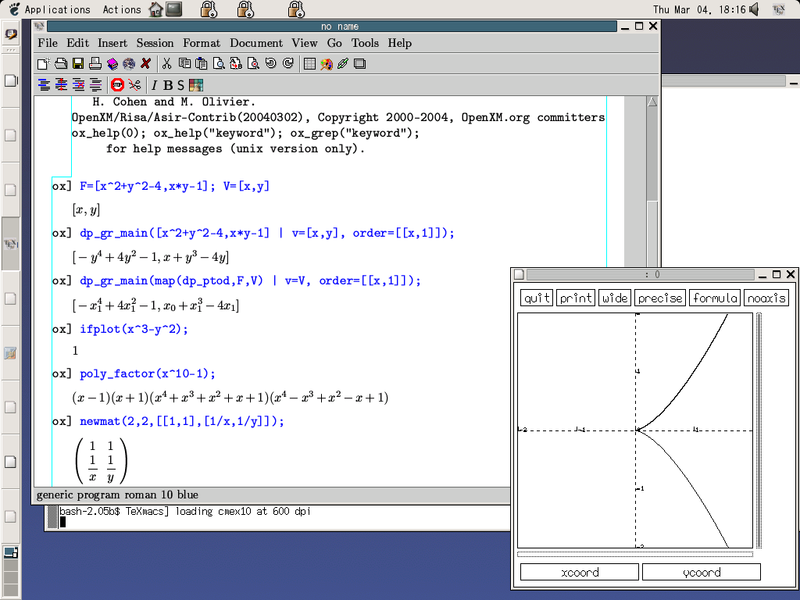 Risa/Asir is an open source general computer algebra system. Kobe distribution is being developed by OpenXM committers. The original Risa/Asir is developed at Fujitsu Labs LTD. See here as to the copyright and the liscence agreement. Risa/Asir 32 bit version, installer . Risa/Asir 64 bit version, installer . Please visit OpenXM home to get debian packages. 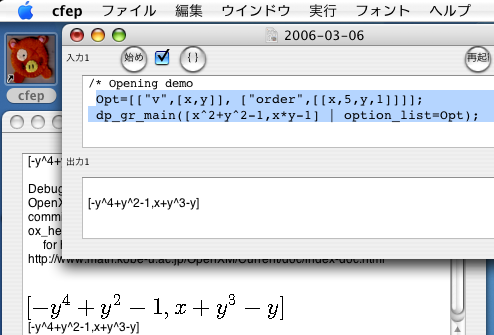 Download cfep/asir for MacOS X (latest test versions. Intel Mac only.) . Nightly snapshot of the asir-contrib in the zip format. It can be installed by the asir_contrib_update() command in the latest asir. Windows binary version: Follow the instruction of the installer. 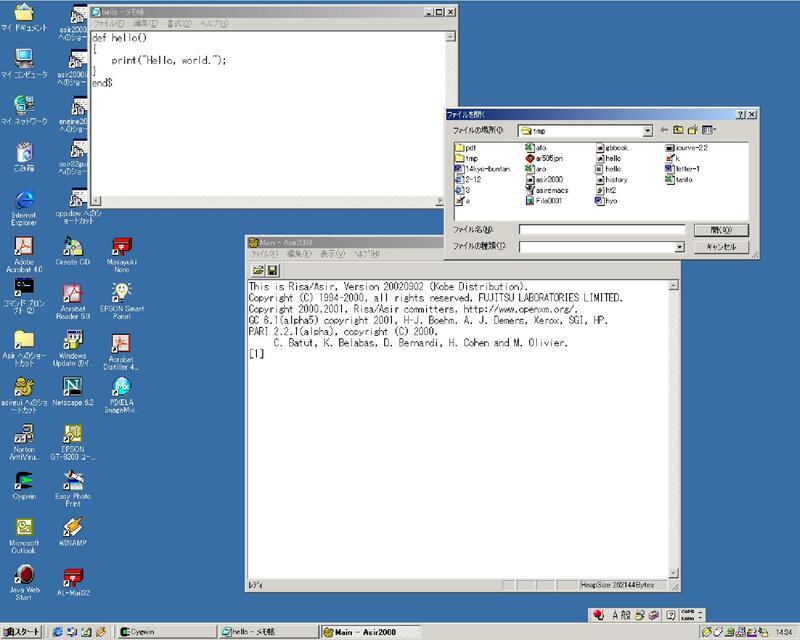 The asirgui can work with some text editors (see asir\share\editor). If the installer does not start, disable, e.g., the SmartScreen Filter, temporaly. FAQ on ScreenFilter . Unix source distribution: follow the document in the tar.gz archive or in the manual. 2011 , This page in 2011. Risa/Asir Drill Book (English version), by M.Noro and N.Takayama PDF . This is a partial translation of the Japanese version, which is obtainable from the Japanese page. Programs in the drill book .